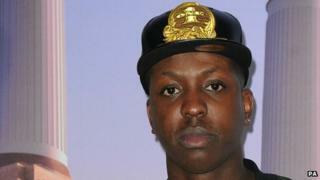 From a teenager on a council estate in west London to self-made multimillionaire, Jamal Edwards hasn't done too badly for himself in a very short space of time. Still just 23 years old, the amateur film-maker turned media boss is worth more than £8m, and counts famous entrepreneur Sir Richard Branson as one of his friends. Jamal is the owner of SBTV, a broadcasting company that makes videos - typically music videos featuring rap and pop music stars - and puts them up on YouTube. Attracting millions of hits, the business continues to make a fortune by taking a percentage of YouTube's advertising revenues for adverts that are linked to its videos. It is not a bad living for a young man who got into film-making after his parents gave him a basic video camera as a Christmas present when he was 15, and someone who by his own admission has no formal training. Jamal says it is just a question of believing in yourself, and finding your talent, which for him is making videos. "Try anything, don't be scared of failure, that is my advice," he says. "The only failure is not trying. And when you find your niche, what you are really good at, hit it so hard." Back when Jamal was 15, he says he and his video camera immediately became inseparable, and he started to film friends rapping or singing. Not instantly aware of the commercial potential of what he was doing, Jamal says he started to upload the videos to YouTube simply to make it easier for his extended friends to see them. "You can say my videos had mixed reviews to begin with, some people didn't get them, but others thought they were sick [good]," he says. "So I started to put them up on YouTube so everyone could see them, and it just grew from there." Leaving school and getting a job in clothing company Topman, Jamal continued to make videos avidly in his spare time. Building up a reputation for the quality of his work, he would film up-and-coming rappers and singers, while also targeting more established stars outside nightclubs, hotels and dance music radio station Kiss 100. As word of mouth spread, his videos on YouTube, put up under the name SBTV (the SB stands for SmokeyBarz, Jamal's own rapping nickname) started to get hundreds of thousands of hits, predominantly from 13- to 30-year-olds. And so Jamal contacted YouTube to see if he was eligible for a share of advertising revenues. YouTube, owned by internet search engine giant, Google, turned him down three times, but Jamal persisted. YouTube ultimately agreed after he was able to prove that all the videos he was uploading were original content that he had made himself. "But my parents were like, 'That's not sustainable income, that's not steady.' But the cheques have just got bigger and bigger. The more effort I put in, the more views the videos get, and the more advertising revenues I get back." Soon Jamal was able to quit Topman and run SBTV on a full-time basis. Today he has 12 members of staff, and SBTV also has its own website that carries news stories and feature articles in addition to the videos. The business has further branched out into its own clothing line, as Jamal says he is always thinking of ways to expand. And while the grime dance music scene remains a core focus, SBTV has also moved into other musical genres. An SBTV video of singer-songwriter Ed Sheeran has had 7.7 million hits on YouTube. Jamal says he is now set on conquering the US, and further expanding the video content to cover comedy, sport and fashion. Regarding his interest in the latter, he was seen in the front row at September's London Fashion Week. Jamal has also this year published a self-help e-book called Self Belief: The Vision. The business so impressed Sir Richard Branson that last year Jamal won a best new start-up award from Virgin Media. And the two have stayed in touch ever since. Others who have seen SBTV's potential include technology and music investment specialists Miroma Ventures, which last month bought a share in the business for an undisclosed sum. Jamal was also chosen to become an ambassador for the Prince's Trust, the youth charity run by Prince Charles which supports young people setting up their own companies. After such meteoric growth, Jamal says he often has to remind himself to slow down. "I still get bad anxiety at times, if I have too many things going on. I have to sit down and tell myself to take a breather," he says. "I think this is one of the most important things for any entrepreneur to remember - that you can't go 100% all of the time. "I have crashed and burned about three times over the years because I was just working, working, working. Now I'm more planned, more organised." But has becoming a multimillionaire changed him? "Honestly no, I come from a humble background, I'm from a council estate. It is nice to be comfortable, and be able to buy things for friends and family, but I'm not motivated by the money. "I don't want to be treated any different, I'm still the same person, I'm well grounded. And if I wasn't, my friends and family would soon knock me down to size."